Founded in 1975 to preserve the history of Wixom and promote an understanding of the city's heritage. Maintaining the Wixom Wire House as a local museum. Collecting, archiving, and conserving artifacts and written materials related to the city’s history. Increasing the community’s knowledge of local history through educational programs. Building the Society’s membership and fostering community involvement. Identifying and implementing additional methods of preserving our city’s past. Monday, September 17, 2018 @ 6:30 PM – Welcome Back Potluck & Joe Epstein Presents The Civil War Experience of James Greacen – Gibson House, 49805 Pontiac Tr. Monday, November 12, 2018 @ 7 PM – The Edmund Fitzgerald with Ric Mixer – Wixom City Hall 49045 Pontiac Tr. Sunday, December 2, 2018 From 4 till 7 PM – Annual Wassail & Open House – Gibson House, 49805 Pontiac Tr. Monday, January 21, 2019 @ 6:30 PM – Annual Meeting & Potluck – Gibson House, 49805 Pontiac Tr. Monday, February 11, 2019 @ 7:00 PM – Pam Dawson as Mary Todd Lincoln – Wixom Community Center, 49045 Pontiac Tr. Monday, March 18, 2019 @ 7:00 PM – Russell Dore Presents Packard, Hudson, Nash & Studebaker – Wixom City Hall 49045 Pontiac Tr. Monday, April 15, 2019 @ 7:00 PM – All Aboard to Boblo with Patrick Livingston – Wixom Community Center 49045 Pontiac Tr. Sunday, May 19, 2019 From Noon till 4 PM – Annual Ice Cream Social & Wixom’s Founder’s Day Festival – Gibson House, 49805 Pontiac Tr. 1975 … springtime in Wixom at a luncheon hosted by Beverly Paisley, wife of Peter Paisley, owner of The Korex Company. The nation was looking forward to celebrating its Bicentennial, so much chatter centered on the subject of history. Nancy Dingeldey offered the idea of forming an historical society in the small active community, which was immediately embraced by notable long-time residents Hilda Furman, Mildred Gibson, Lillian Spencer and Sylvia Vangieson. The idea bloomed and within a few months, the Wixom Historical Society was formed. Margaret Ladd was elected its first president, Nancy Dingeldey, vice president, Helen Tillman, secretary and Thom Coulter, treasurer. The group embarked on presenting monthly programming and immediately focused on July 4, 1976- the U.S. Bicentennial. They planned the first Fourth of July celebration in Wixom. Later, Ladd would be instrumental in convincing the Wixom City Council to purchase the property and house at Wixom and Maple Roads. Through countless hours and true dedication, the Wixom-Wire Museum was established and named as a State Historical Landmark along with the Wixom Cemetery. 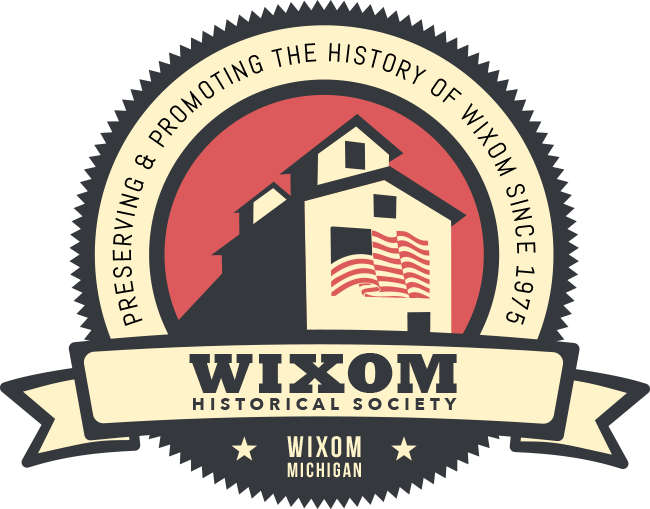 Today, the Wixom Historical Society continues its longstanding tradition of offering free educational programming, hosting the Annual Ice Cream Social at the Wixom-Wire House Museum, showcasing the Gibson House with the Holiday Wassail, and participating in the May Founder’s Festival.